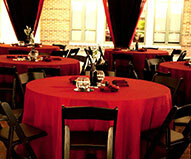 At AAA Party Rental, we have just the linen rentals you need, whether you're looking for casual, glittery, or elegant. Need help deciding? Our experienced staff can assist you with sizes, colors, and style. 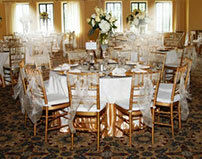 Our linens are well-maintained, and delivered to you clean, pressed, and ready to set. 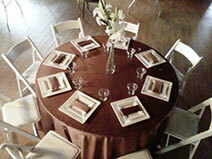 When your party calls for tablecloth, napkin, or skirting rentals, turn to AAA Party Rental. In the Lenexa, Kansas City KS, Overland Park KS, Lee's Summit MO, Shawnee KS, Olathe KS, Kansas City MO area; we’ve got you covered!